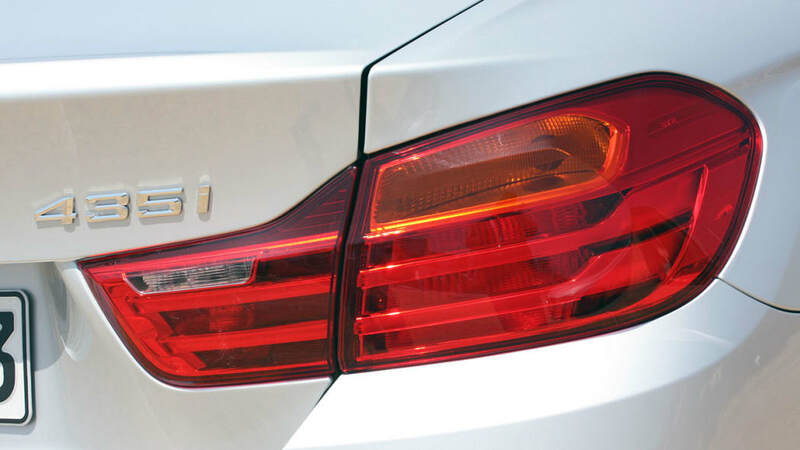 Say what you will about the name 4 Series, there is a method to BMW's madness. 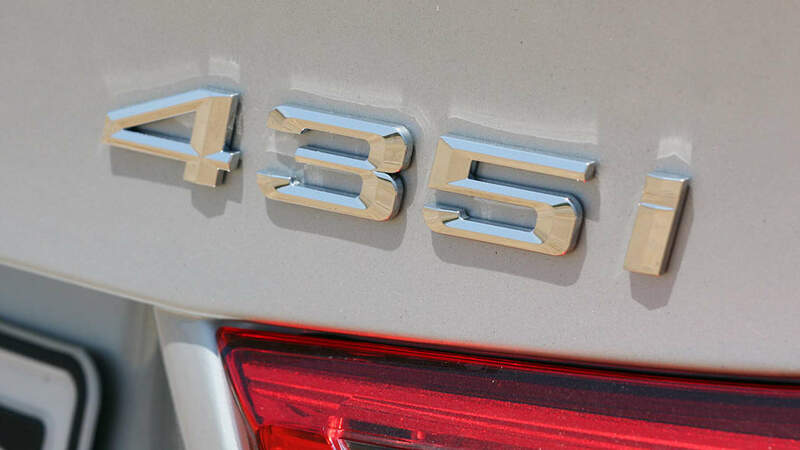 On one hand, it's easy enough to just buy into the logic that odd numbers are reserved for sedans and wagons, and that even numbers are reserved for coupes and convertibles. 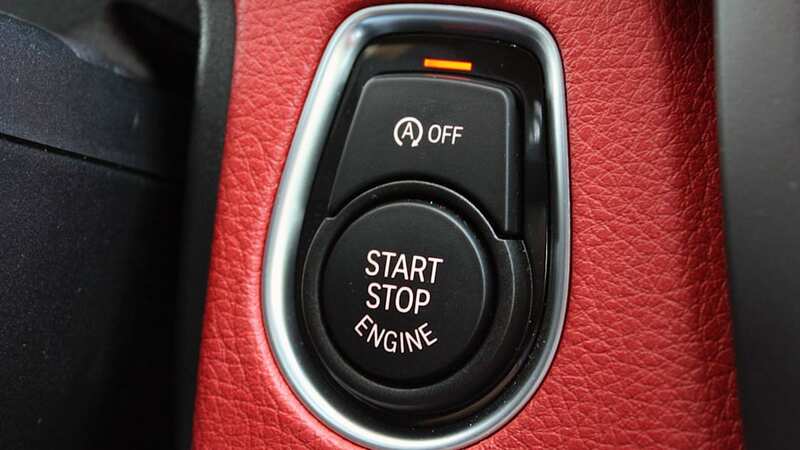 On the other hand, consider the idea that the higher numbers are used to separate the more dynamic, more engaging vehicles that use the same platform. 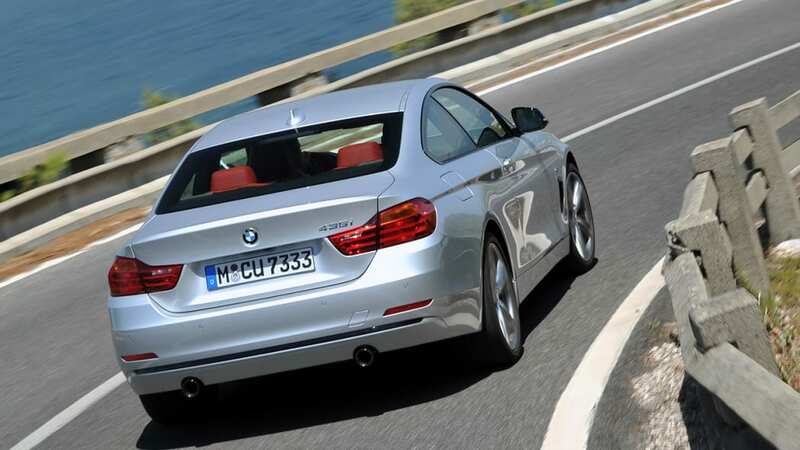 It's that sort of separation that differentiates the 6 Series so nicely from its 5 Series roots, after all. 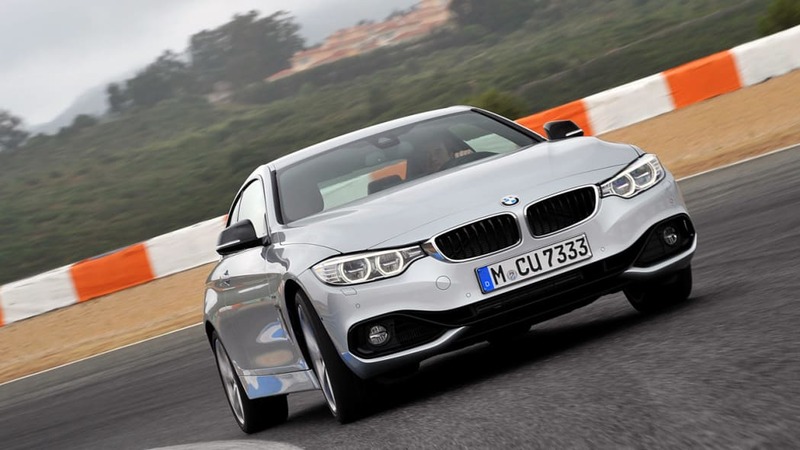 And if we're being cynical, it also allows BMW to charge a bit more money for its lower-volume offerings. 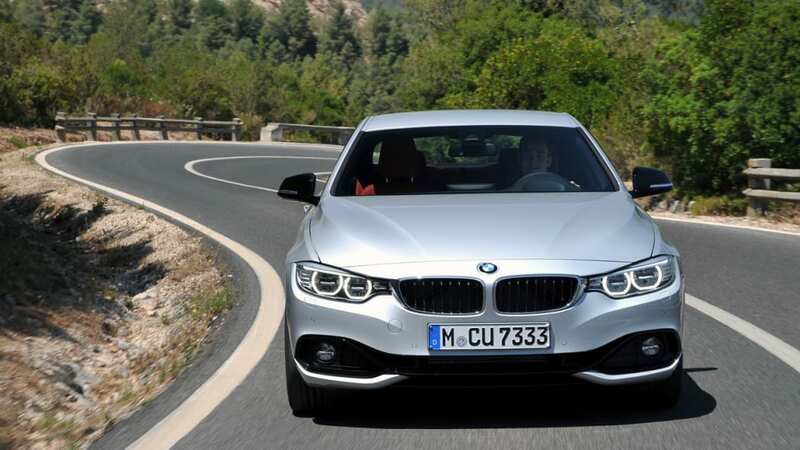 So with the new two-door version of the 3 Series, BMW has gone the route of strengthening the dynamic virtues of its F30 chassis to create a car that's more removed from its sedan kin than one might think. 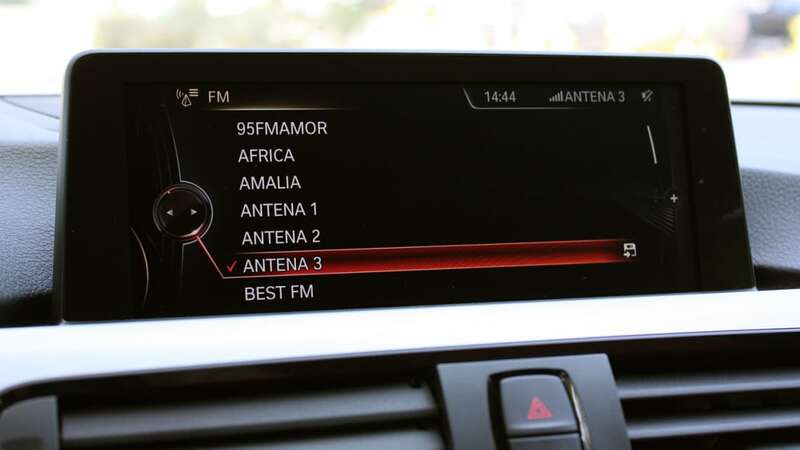 And after spending some time with the new 4 Series on the roads around Lisbon, Portugal, as well as the famous Circuito do Estoril racetrack, it's increasingly clear that calling this car a 3 Series Coupe simply wouldn't be fair. 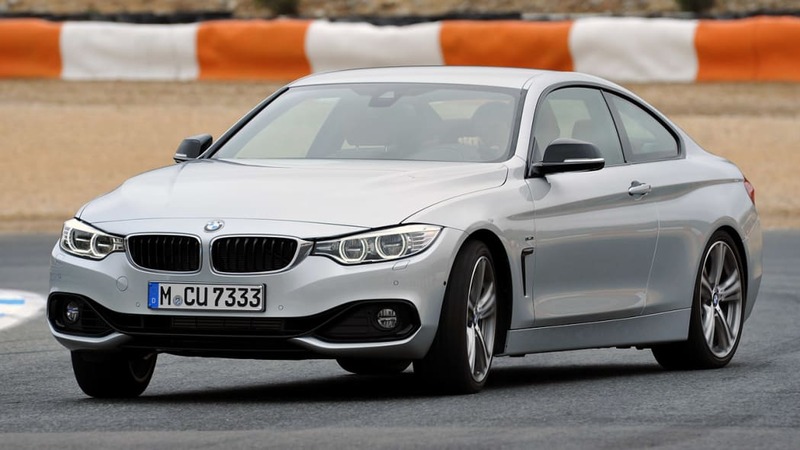 Despite riding on the same 110.6-inch wheelbase, the 4 Series coupe's overall length of 182.5 inches is identical to that of the four-door 3 Series, representing a 0.6-inch stretch over the outgoing 335i coupe. 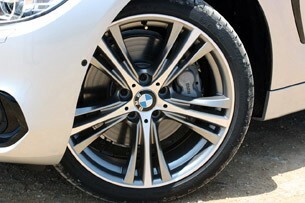 Width has been increased to 71.8 inches, up from the 71.3 of the 3 sedan and 70.2 of the old 3 coupe. 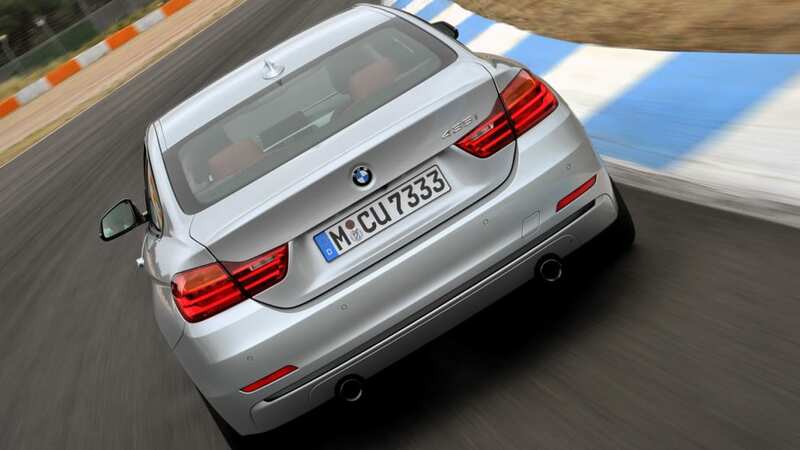 And the 4's total height is 54.2 inches, which, while one-tenth of an inch taller than the outgoing 335i coupe, is actually more than two inches lower than the current 335i sedan. 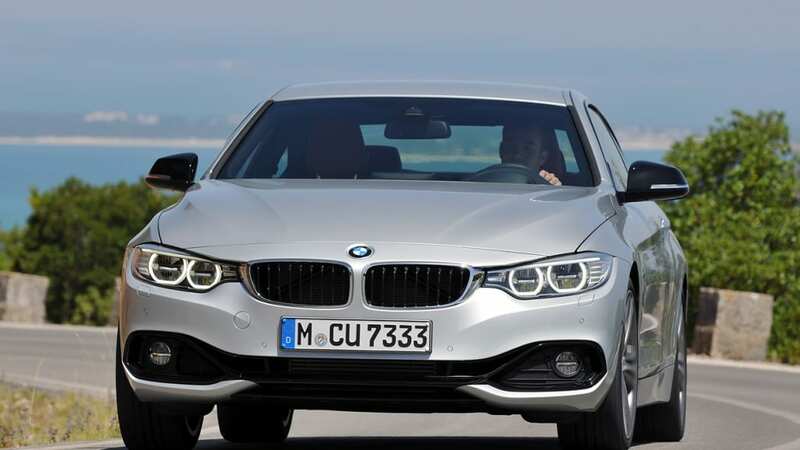 Numbers aside, the takeaway here is that the 4 Series is lower and wider than the 3 Series sedan, and BMW says its new coupe boasts the lowest center of gravity of any car in its current portfolio. 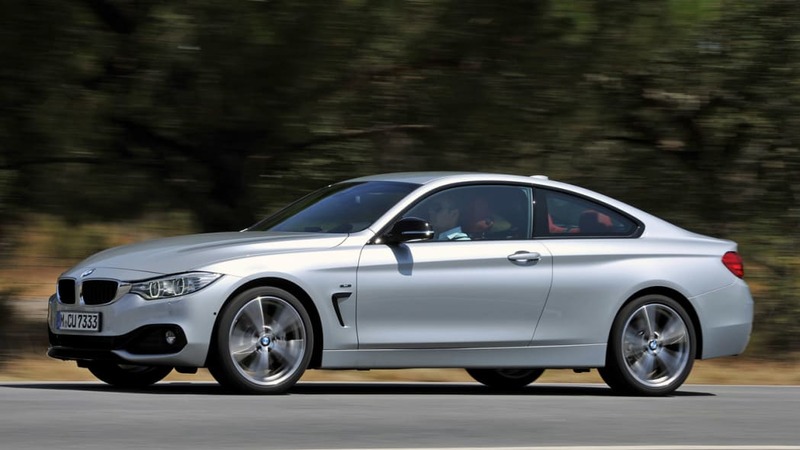 That makes a big difference for handling, as does the 60 percent increase in torsional stiffness compared to its predecessor (not to mention a modest weight reduction of 54 pounds versus the old 335i coupe – 66 fewer pounds than a 335i sedan). 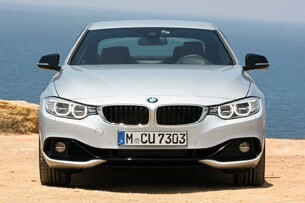 The 4 Series is lower and wider than the 3 Series sedan. 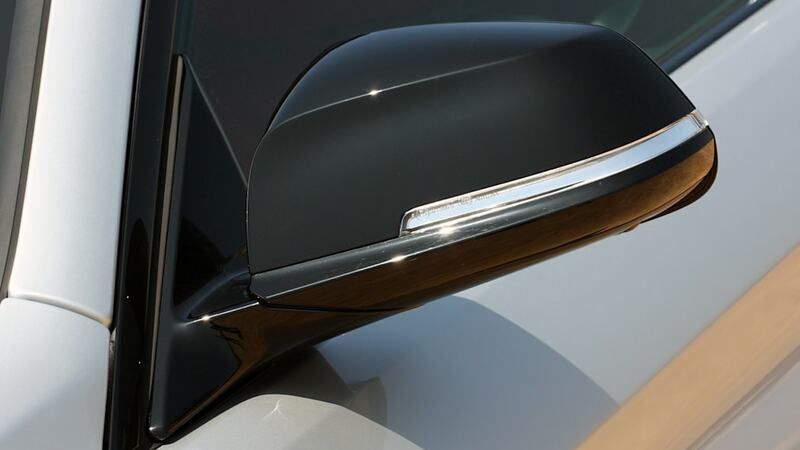 From the profile, the lower height and shorter overhangs are immediately noticed and very much welcomed. 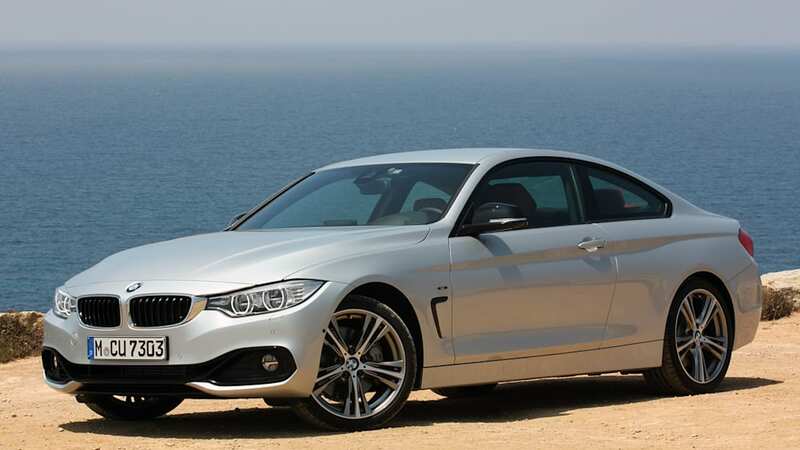 We like the heavily sculpted body line that starts just behind the front wheel well and extends all the way to the coupe's tail, but this car just doesn't strike us as simplistically handsome as the 3 coupes that came before it. 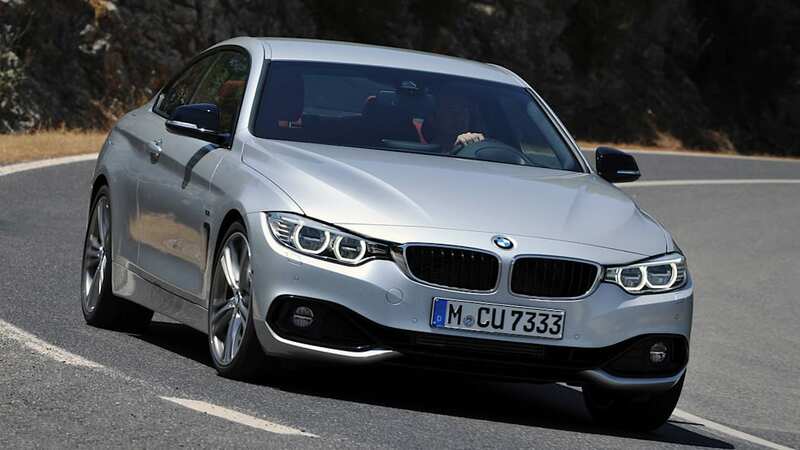 Nothing here feels overwrought, not even a little bit, but this shape just strays too far from the simple sculpting that makes the 3 Series such a handsome vehicle. 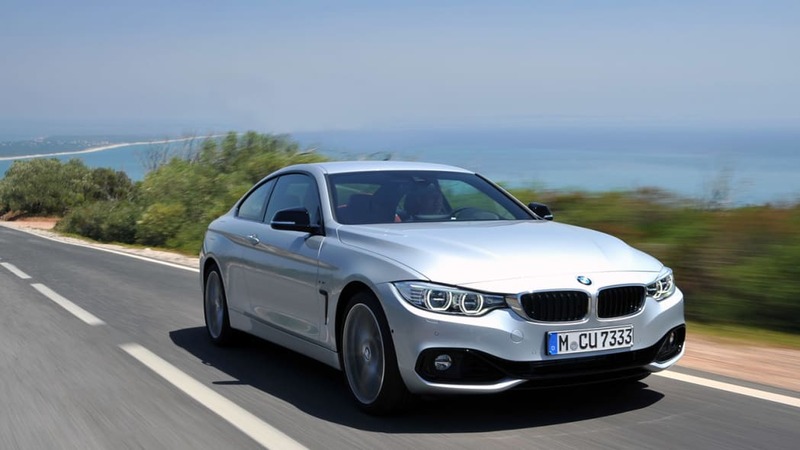 The car pictured here is a 435i coupe in Sport line trim, which, in addition to larger five-spoke, 19-inch alloy wheels (18s are standard), features black trim around the lower front grille. 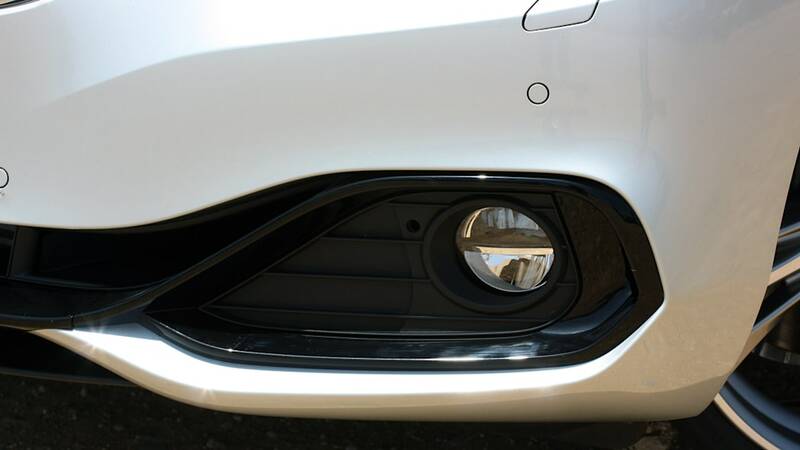 The wide air intakes of the more curvaceous lower fascia don't really do it for us aesthetically as it is, and the added blacked-out-ness doesn't help one bit; it all seems a bit too mouth-breather for our tastes. 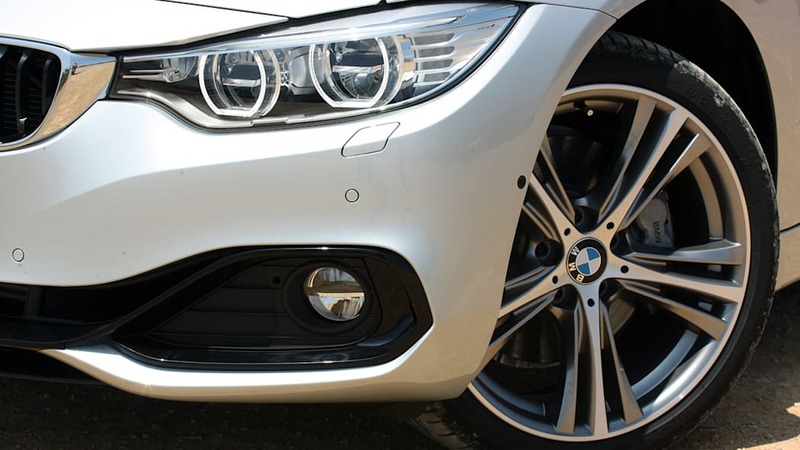 Easy fix: Opt for the Luxury trim that carries the body color across the lower lip, or even better, tick the M Sport box that gets you a proper three-section lower fascia design. 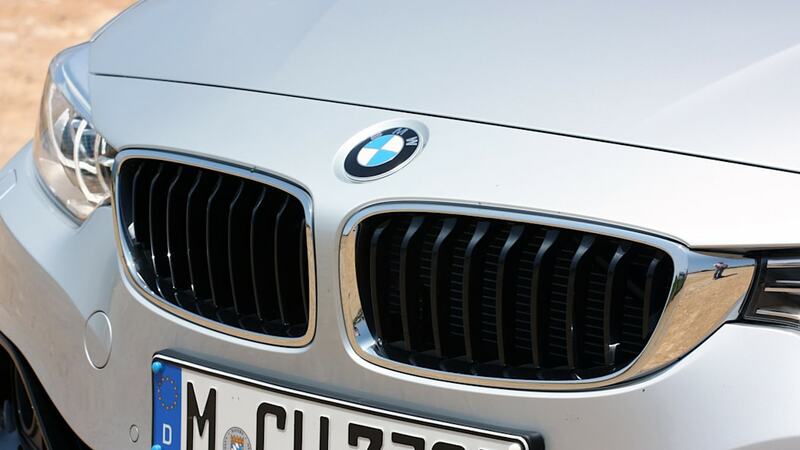 Both look much better. 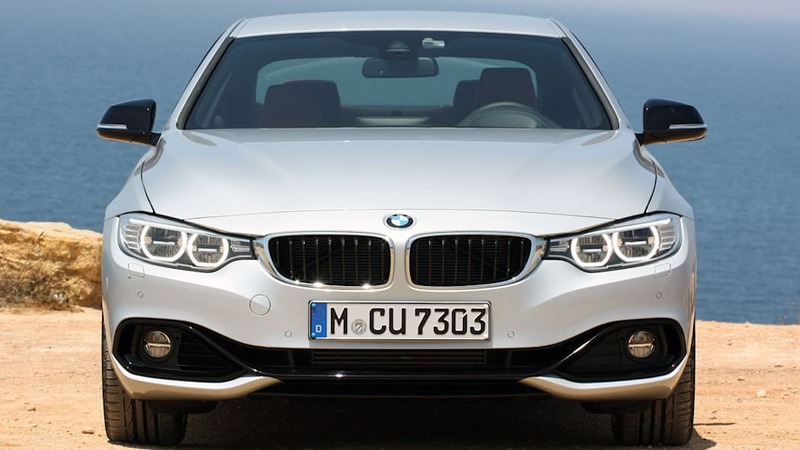 The rest of the design changes up front are pretty much carried over from the 3 Series, with slimmer headlamps that bridge over to the kidney grille in the middle. 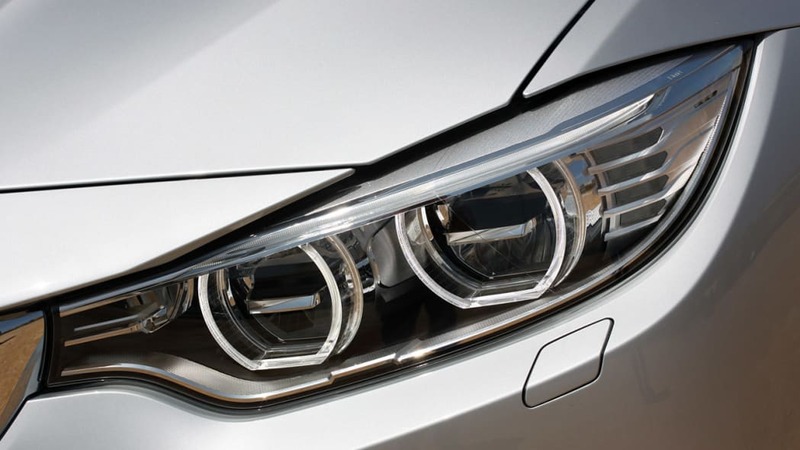 All 4 Series coupes will come standard with Xenon headlamps and LED daytime running lamp eyeliners, though uplevel cars like the one seen here use full-LED headlights – something that isn't available on any 3 Series model. 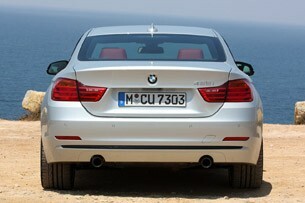 Most noticeably, from behind, the 4 Series' hips have filled out nicely. 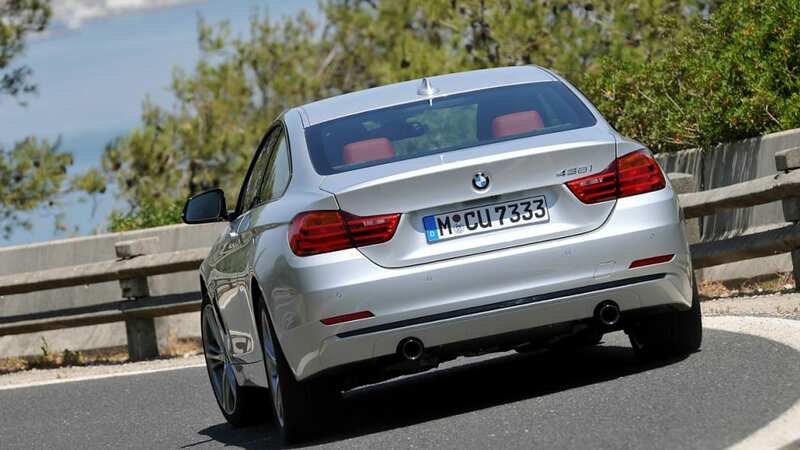 Most noticeably, from behind, the 4 Series' hips have filled out nicely, and this added bit of visual weight over the aft wheels better drive home the rear-wheel-drive architecture that lies beneath. 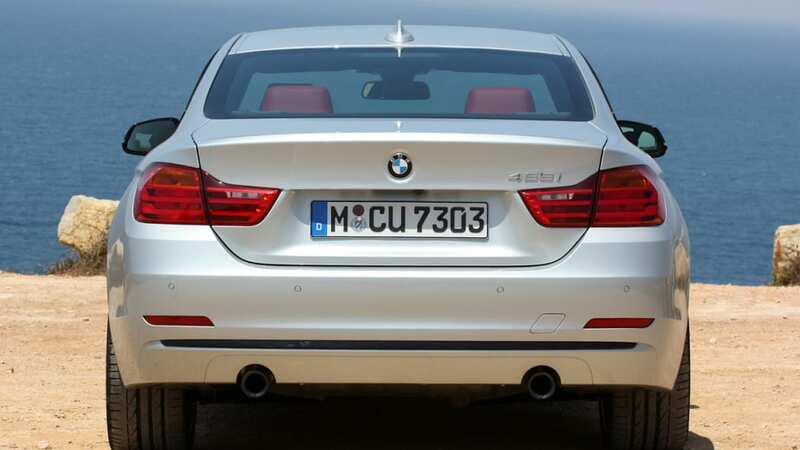 The newly sculpted taillamps are larger and rounder than the units used on the 3 Series, looking a bit too big here. 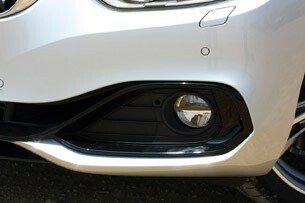 And the dual exhaust outlets of this 435i Sport trim tester are finished in the same black as what's found up front. 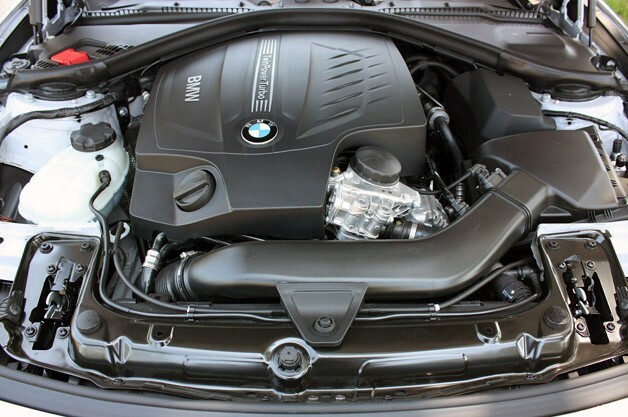 Here again, the M Sport treatment is really what you want, with an off-colored diffuser housing polished aluminum pipes. 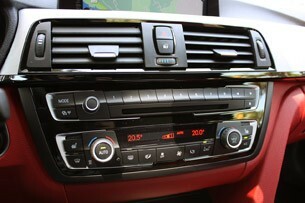 Inside, the driver-focused front cabin is set off by a center stack and console that's angled conspicuously toward the person in charge – a trait that we've always liked about BMW models of yore – and there are other bits of interior sculpting that sort of make the front passenger feel as if they're in an entirely separate compartment. 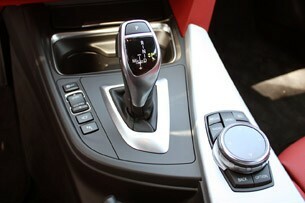 For example, just to the right of the shift lever, the bit of aluminum trim that houses the iDrive controller is raised up, and as it moves forward toward the console, continues to slope upward as it blends into the dash. 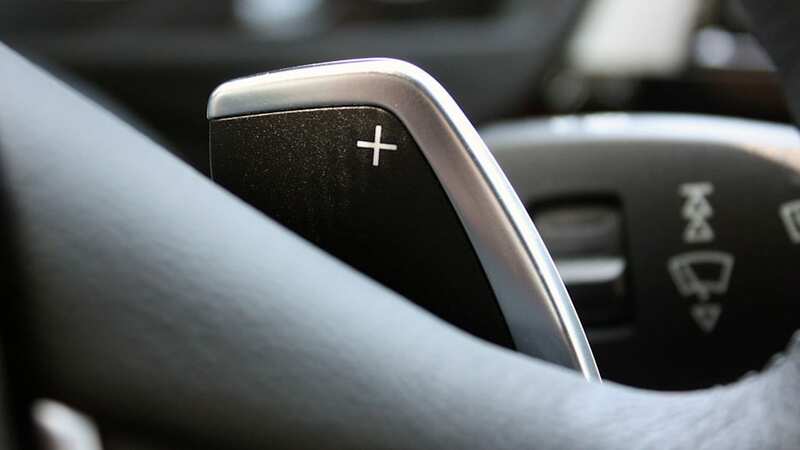 This isn't present on the driver's side, making the left side of the cockpit feel larger, with easy access to all controls on the console and stack. 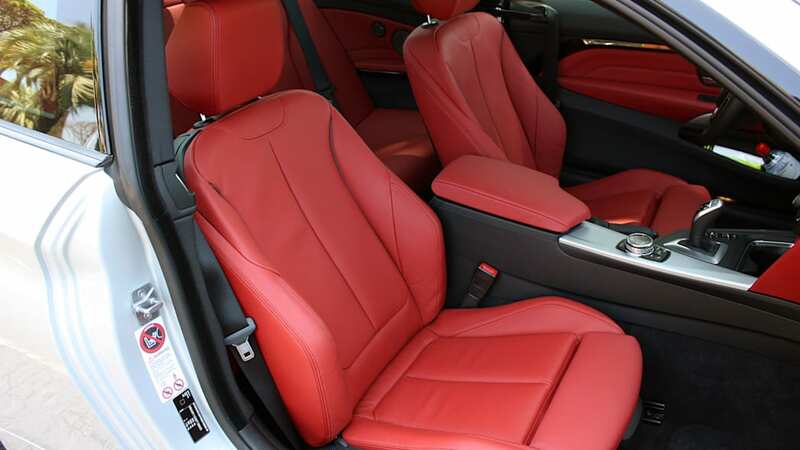 This sort of separation between the front occupants is even more pronounced with the bright contrast of the red leather and black/aluminum accents of our test car, and while we don't know if the lipstick hide treatment is something we could live with every day, it looks sharp. 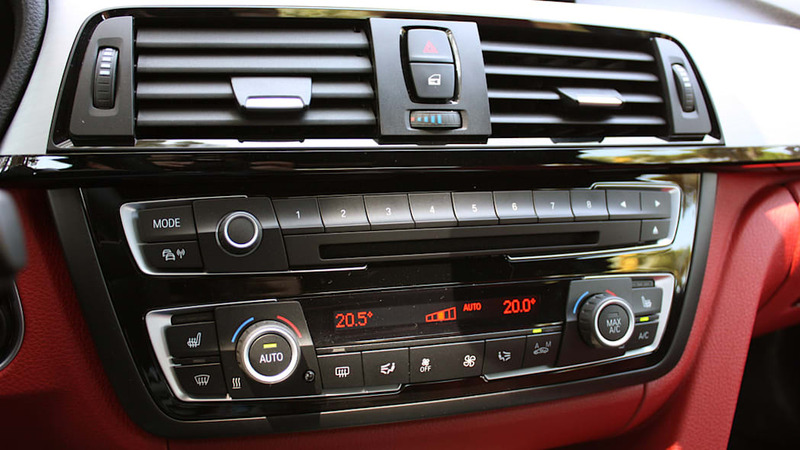 Plus we dig the simple layout of the buttons and controls, with just two slim function bars on the center stack – one for the climate control, the other for the CD changer and radio presets, with the large infotainment screen housed above. 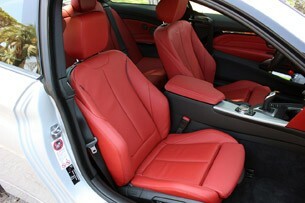 The whole cabin looks decidedly modern and quite simplistic. 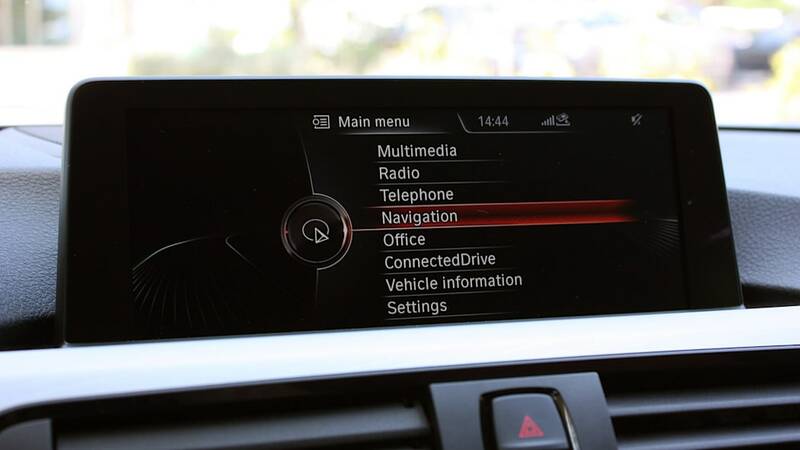 As you'd imagine, that's all controlled by the redesigned iDrive knob that now uses a larger dial with a touchpad interface similar to what Audi first introduced with its Multi Media Interface. 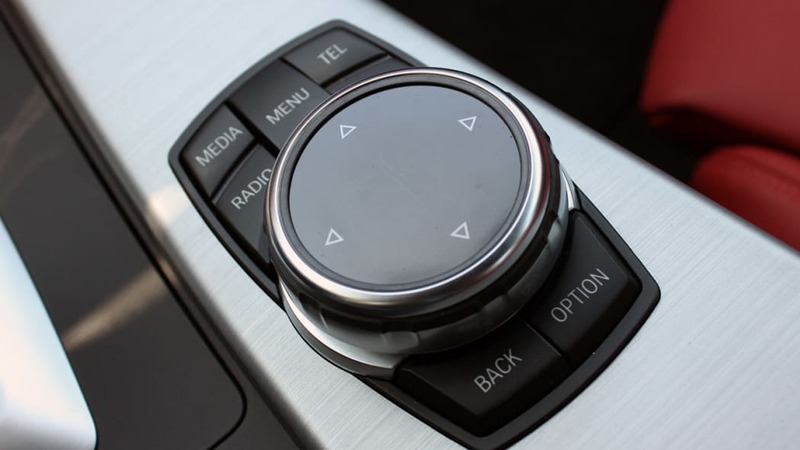 You can use this larger knob's gesture surface to write in letters and numbers for inputs into the system and, unsurprisingly, it works just as well as the Audi system. 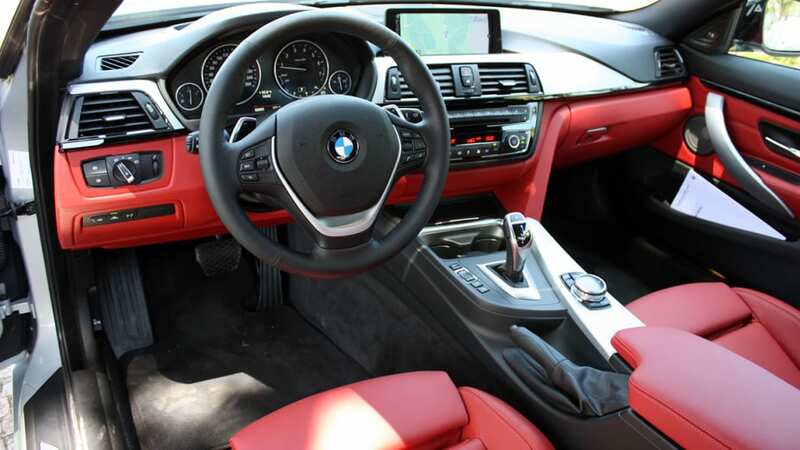 All in, the cabin is what you'd expect from a BMW, with good materials used throughout, a decently thick steering wheel with redundant controls for audio and infotainment functions and generally good levels of visibility from the driver's chair. 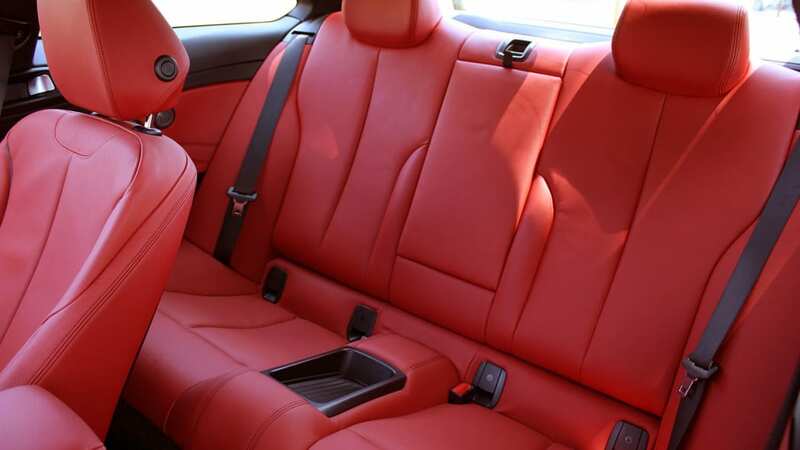 There's room for two short folks in the back, and we aren't kidding around – legroom may have increased slightly because of the longer wheelbase, but headroom in back is down by almost a full inch, which hurts ingress and egress, too. 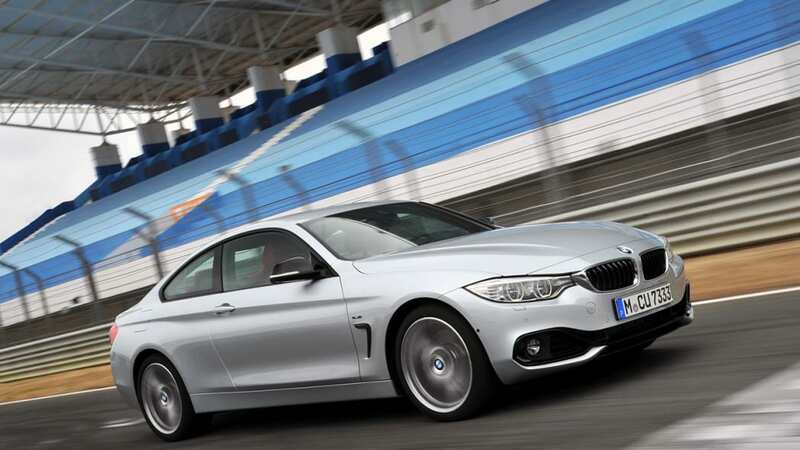 When the 4 Series arrives in US showrooms later this summer, customers will be able to choose from both 428i and 435i models, either of which can be had with BMW's excellent xDrive all-wheel-drive system. 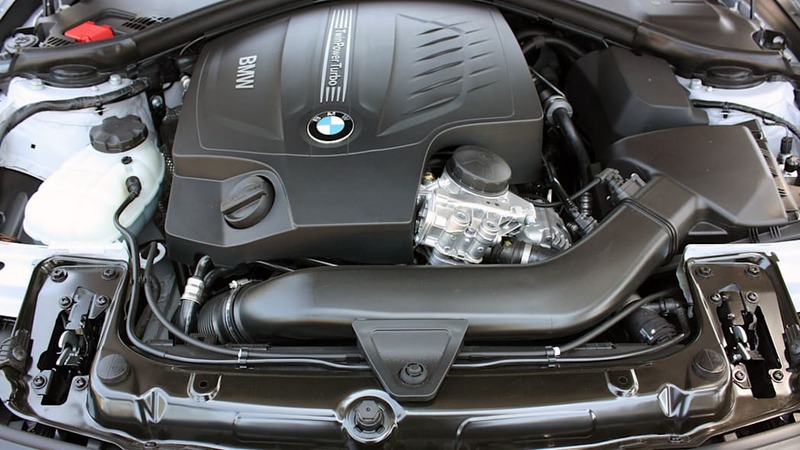 Both of these cars use carryover engines from the 3 Series range, meaning the 428i is powered by the 2.0-liter turbocharged inline four-cylinder engine, good for 241 horsepower and 258 pound-feet of torque, while the 435i uses the more robust turbo-six mill with 306 hp and 295 lb-ft, the latter of which comes on as early as 1,300 rpm for power-on-demand readiness. 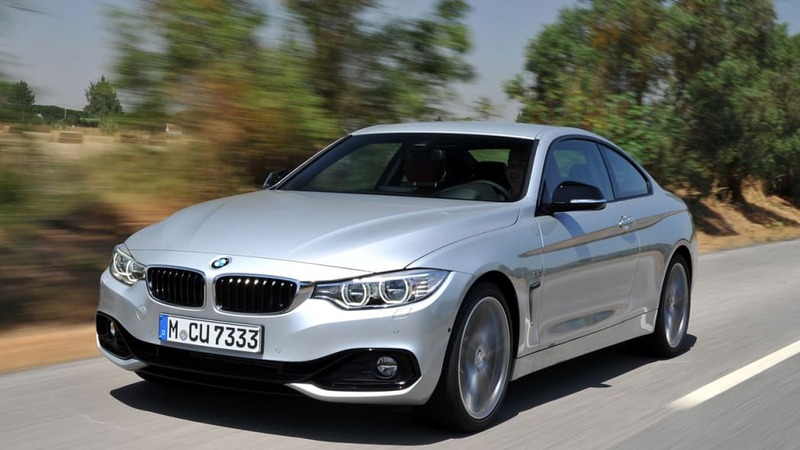 Both a six-speed manual and eight-speed automatic transmission are available with either engine, though the 428i xDrive can only be had with the latter of the two. 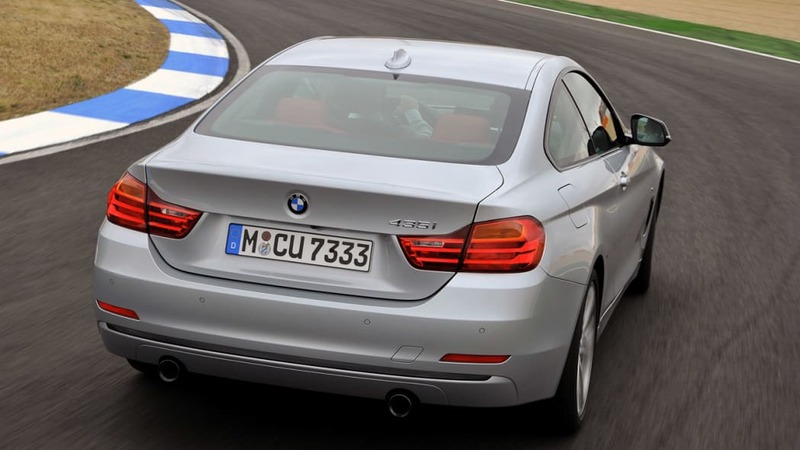 Customers will be able to choose from both 428i and 435i models. 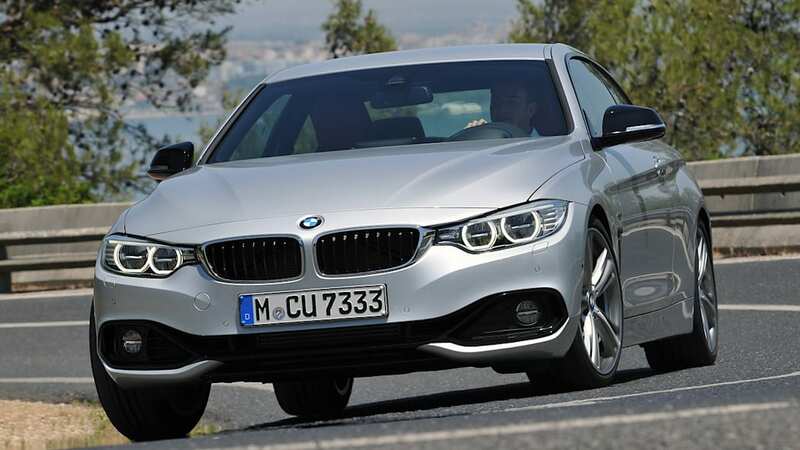 BMW will offer a oil-burning 420d in Europe, and shortly after launch, a four-cylinder 420i model will join the range, as well. 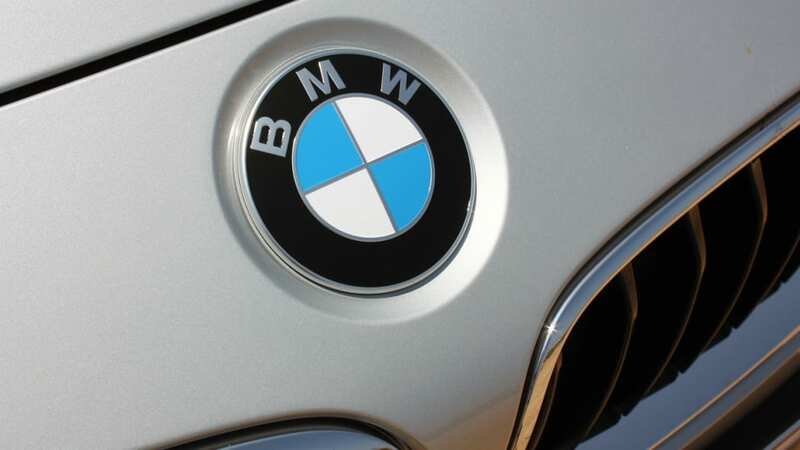 Don't get your hopes up for either in the States, though – BMW executives tell Autoblog that there are absolutely no plans to add either model to our range anytime soon. 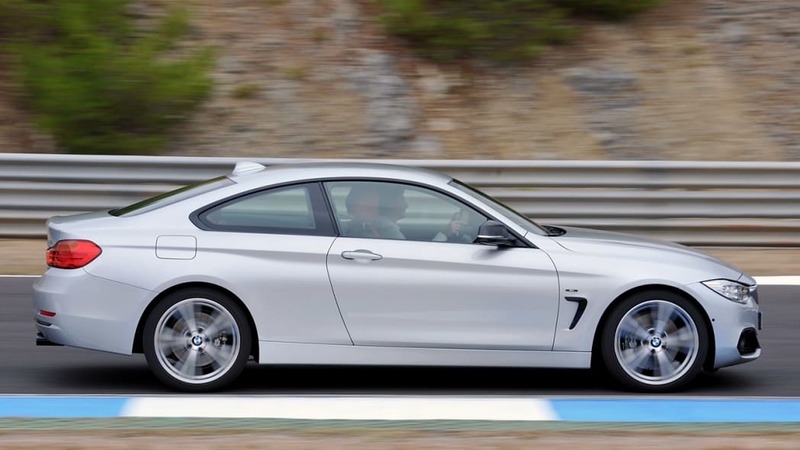 We spent all of our time behind the wheel of a rear-wheel-drive 435i with the slick eight-speed automatic unit, which helps propel the 3,528-pound coupe to 62 miles per hour in 5.1 seconds – three-tenths of a second quicker than cars fitted with the manual 'box. 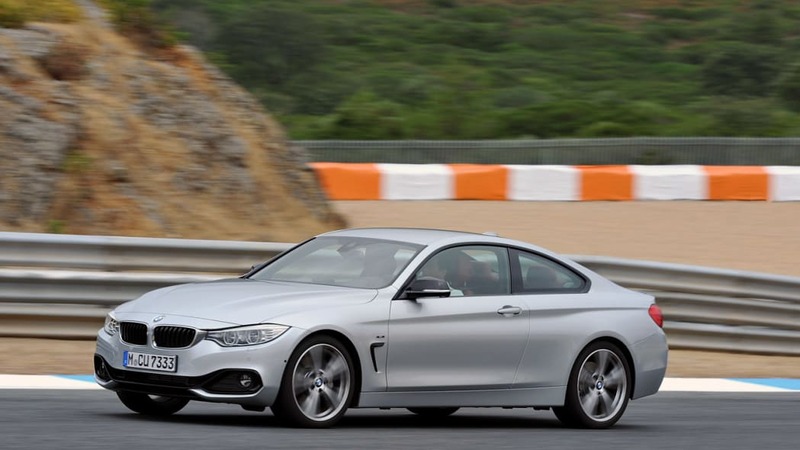 We don't doubt that the manual transmission will be a honey to use, but this eight-speed auto was very well matched for our spirited drive along the winding Portuguese roads leading up to the Estoril race circuit. 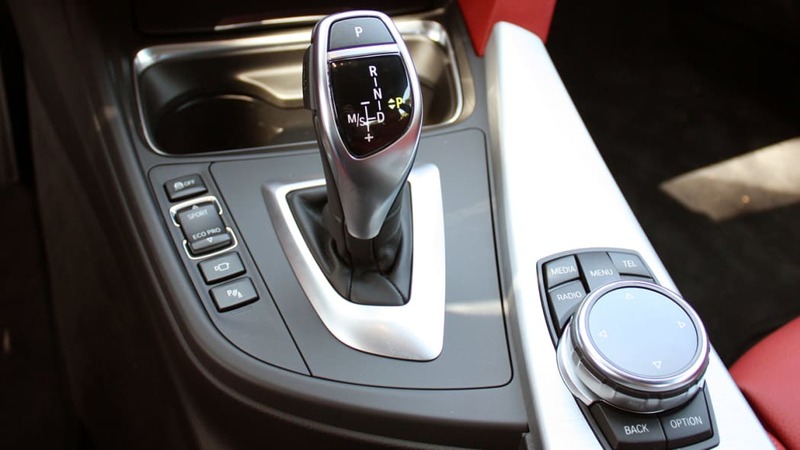 The automatic transmission effortlessly executed snappy shifts, especially with the driver dictating the cog swappage via the steering wheel-mounted paddles, and the sport setting is a superb dance partner if you prefer to leave the auto 'box to its own devices. 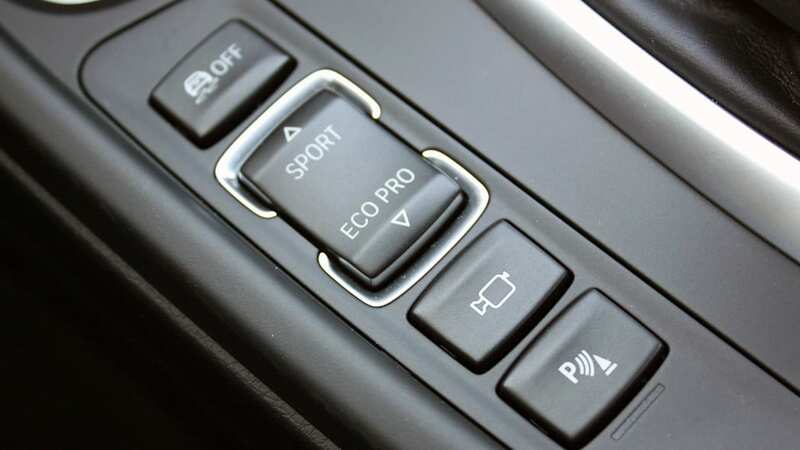 Like the 3 Series, BMW offers four different drive modes in the 4 Series – Eco Pro, Comfort, Sport and Sport Plus, the first of which can be pretty much thrown away for anyone who actually cares about driving dynamics. 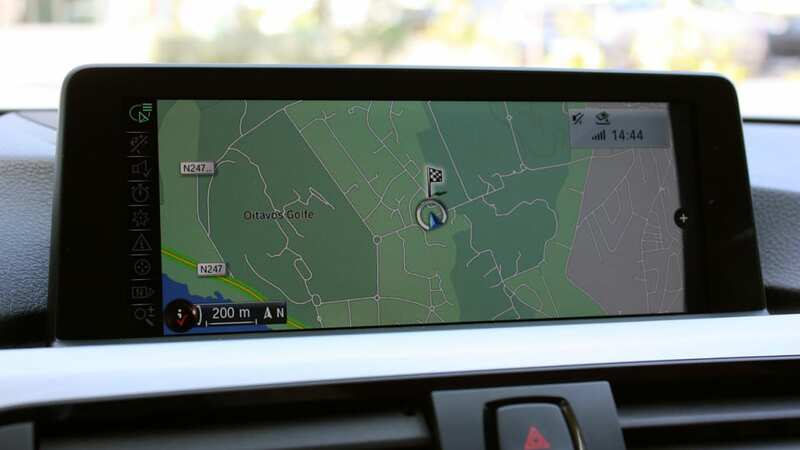 Of note, BMW has added a new coasting mode for its EcoPro function that shuts off engine power when your foot is off the throttle, as well as new proactive driving assist that will actually suggest when to back off the throttle based on upcoming route changes. 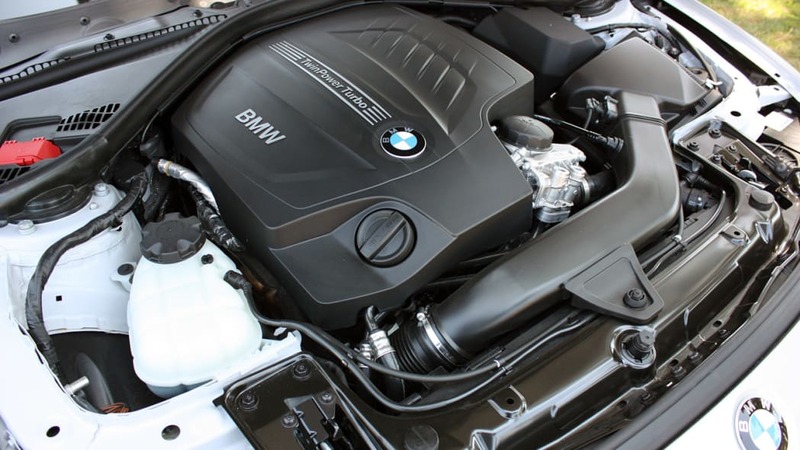 We selected EcoPro for about 10 minutes of highway cruising in the 435i, but again, it's not for those looking for things like good throttle response or power delivery. 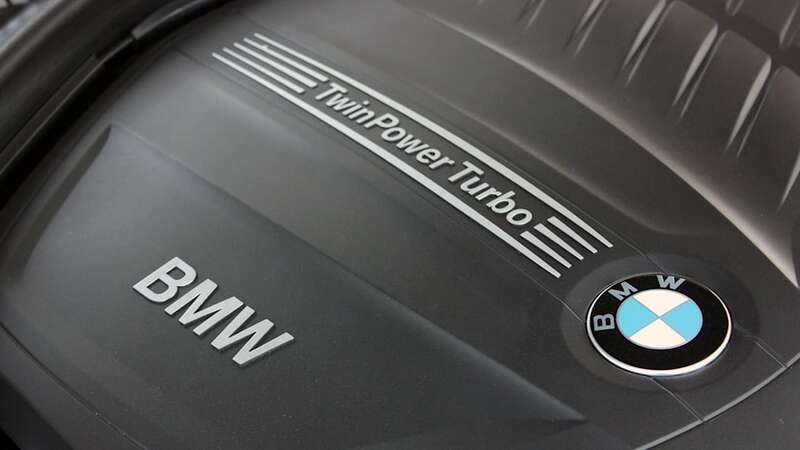 BMW hasn't released fuel economy figures just yet, but says that the 435i will be good for roughly 33 miles per gallon on the highway. 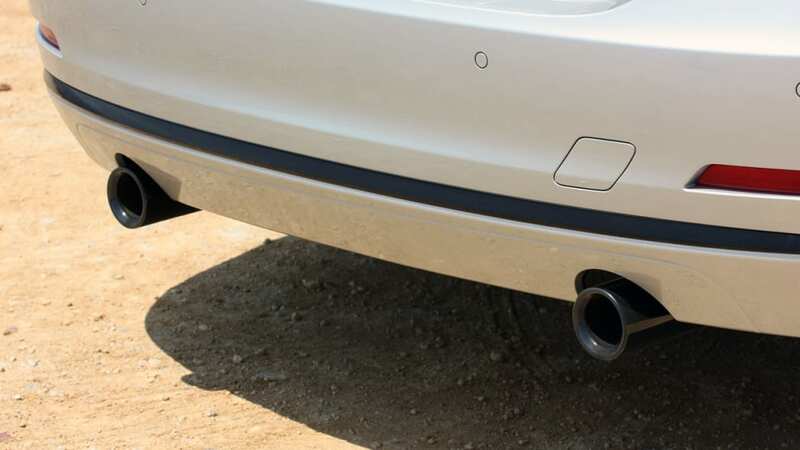 Assuming you're an eco pro, of course. 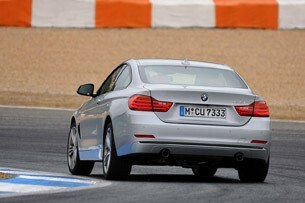 The 4's retuned chassis was simply wonderful, keeping the car flat as a pancake during cornering. 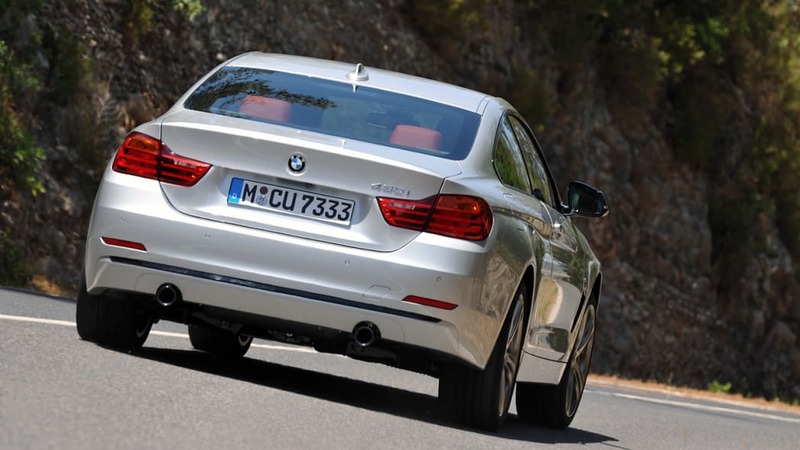 Because of the rather demanding set of roads on our route around Lisbon, we tested the 435i in a mix of Comfort, Sport and Sport Plus modes (okay, mostly those last two), finding the car to generally be quite good in either setting. 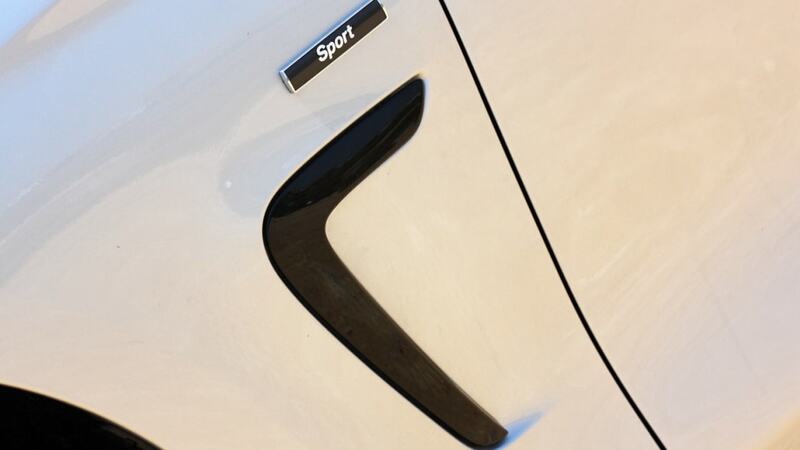 Of course, Comfort provides the most relaxed suspension setup and the lowest amount of steering effort, but even in Sport and Sport Plus, the 4's retuned chassis was simply wonderful, keeping the car flat as a pancake during cornering while not serving up any sort of overly harsh characteristics over broken pavement. 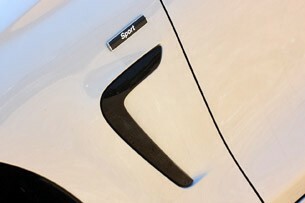 A lot of this has to do with the Dynamic Handling Package fitted to our car, a $1,000 option on the Sport trim. 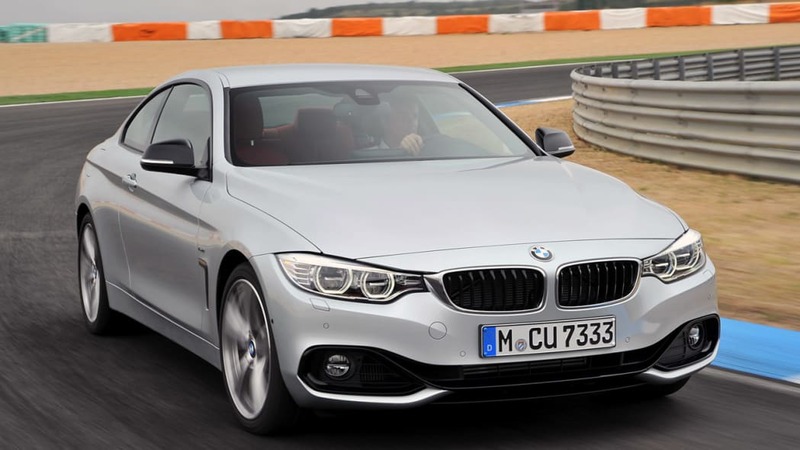 With it, you get the adaptive M sport suspension with active dampers, as well as a sport steering rack. 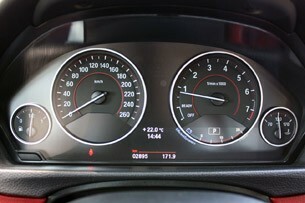 The first part of that equation is, as we said, fantastic, but the steering part of that equation is... less so. 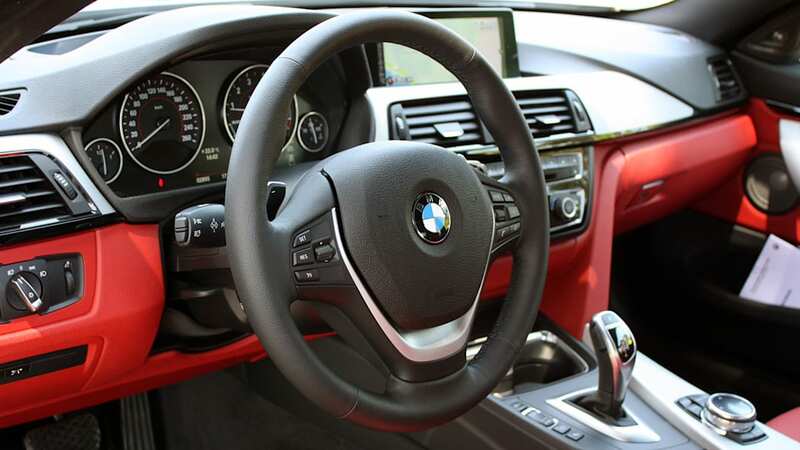 Don't get us wrong, the variable steering is quick to add weight as you turn harder to the left or right, and the car goes exactly where you point it with only minimal effort required by the driver, but the feedback just isn't there. 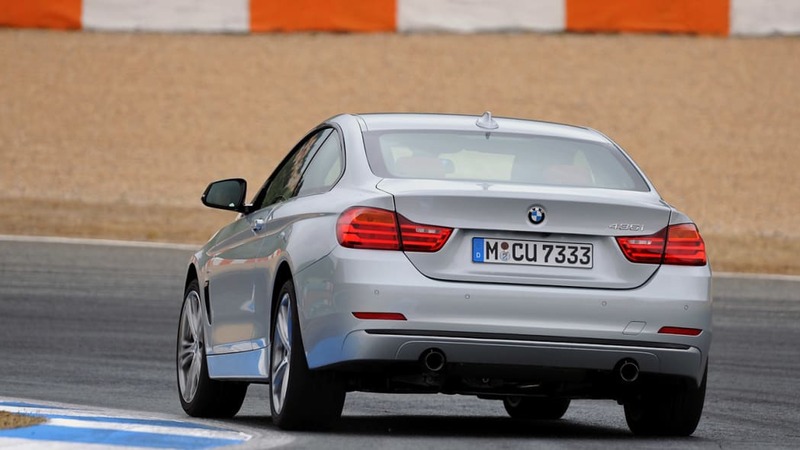 In many cases during our stint in Portugal, and especially during our hot laps over Estoril's 13 turns and 2.6 miles, we wished for better feeling during turn-in, and when the car would understeer coming into a corner – something that, despite the 50/50 weight distribution, the car does often – you'll hear it from the tires before you feel it in the wheel. 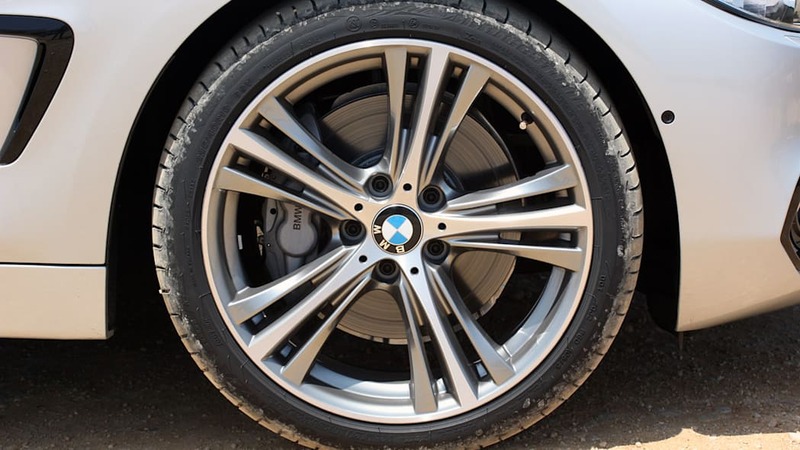 The optional 19-inch alloys fitted to this car came wrapped in Bridgestone Potenza SP001 summer run-flat tires – 225/40R19s up front and 255/35R19s at the back. 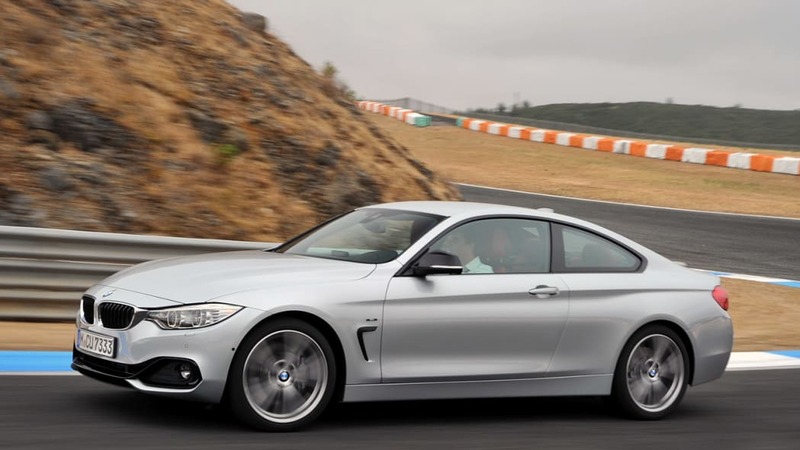 And while they offered fine amounts of grip during normal bouts of spirited driving on curvy switchbacks, they weren't really optimal performers for our time on the track. 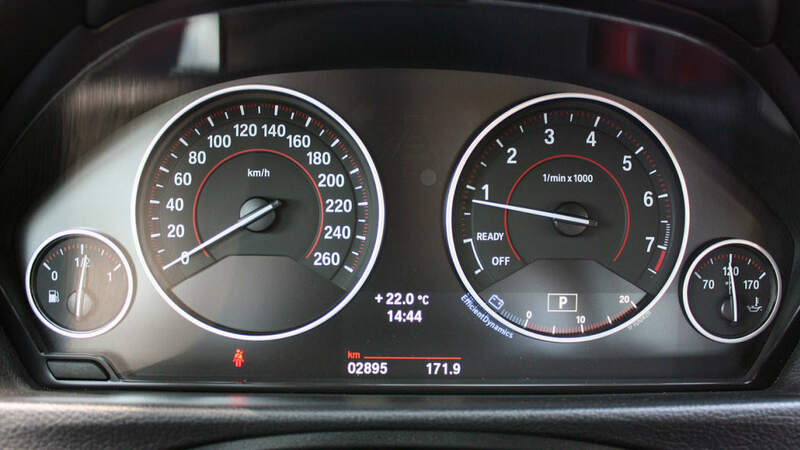 With the drive mode set to Sport, we found the traction control nannies to be really active, and there were many times when we'd do one lap in Sport mode and then immediately switch to Sport Plus for its less intrusive programming. 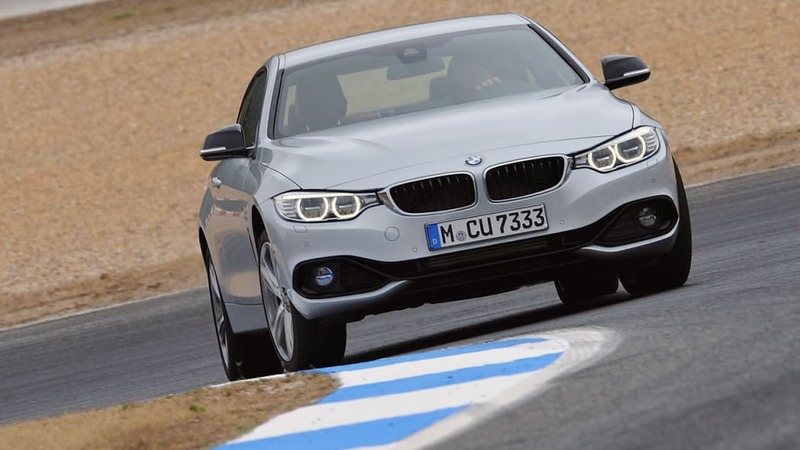 But even here, the 4 Series wasn't totally eager to rotate, especially when negotiating the tight, uphill chicane of Estoril, where you'd have understeer upon entering the quick left-then-right turns, and then oversteer upon exit. The brakes worked hard at Estoril, and while we noticed a bit of fade after several hot laps, the stoppers were always sure-footed on-road. 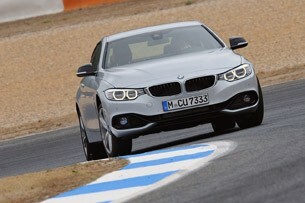 Considering the fact that the folks buying this car won't necessarily be looking for on-track prowess, it all seems fine. 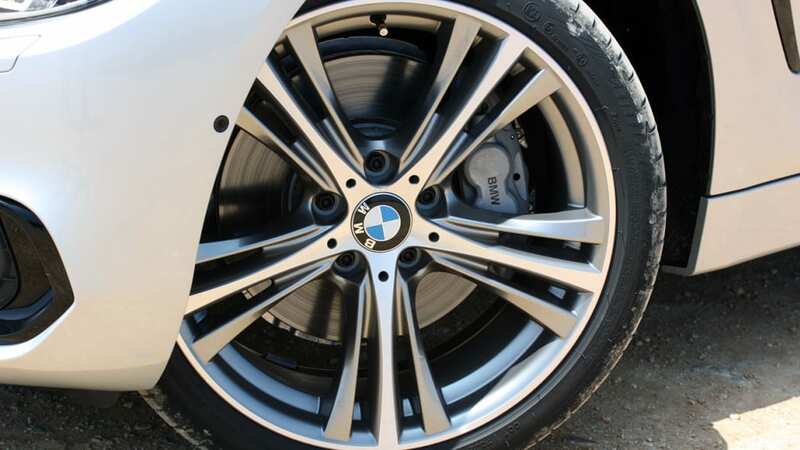 Besides, BMW will happily sell you upgraded brakes from its M Performance parts catalog. 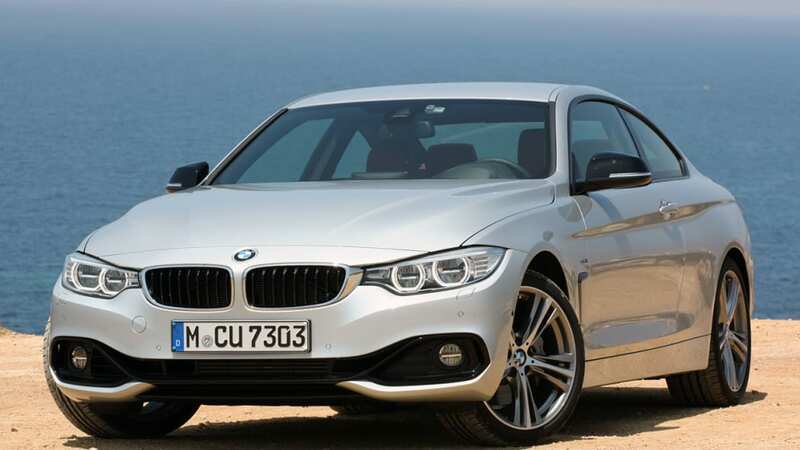 Where the 4 Series really separates itself from its 3 Series roots is on the road. 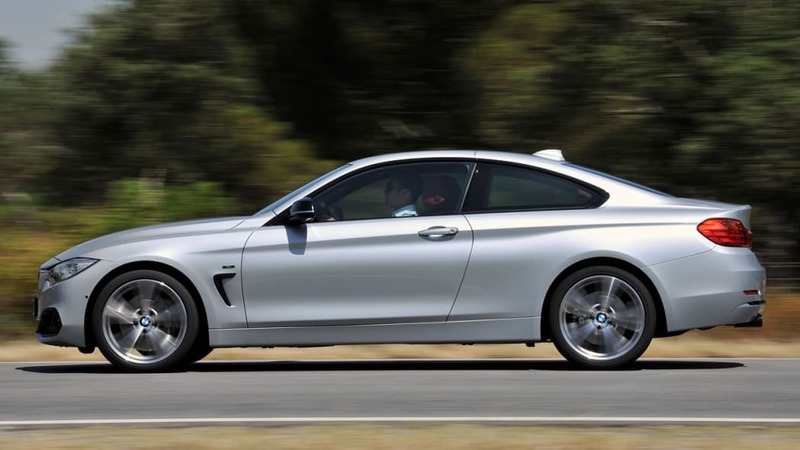 It's not perfect by any means, and we'll never quite get back to the truly amazing dynamics that the E36 and E46 cars possessed, but the lower, wider, stiffer coupe takes all of the good things about the 335i sedan and just makes them better. 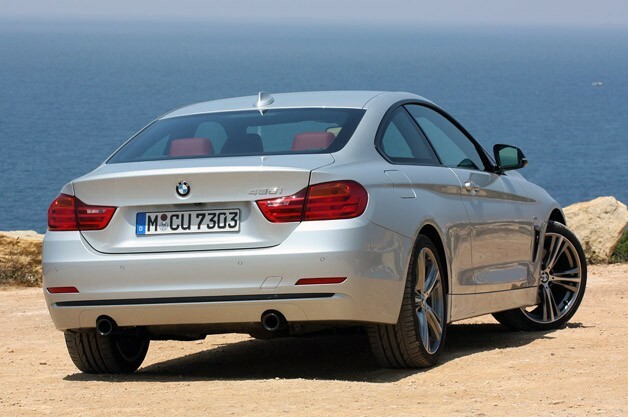 Where the 4 Series really separates itself from its 3 Series roots is on the road. That added involvement comes at a price, though. 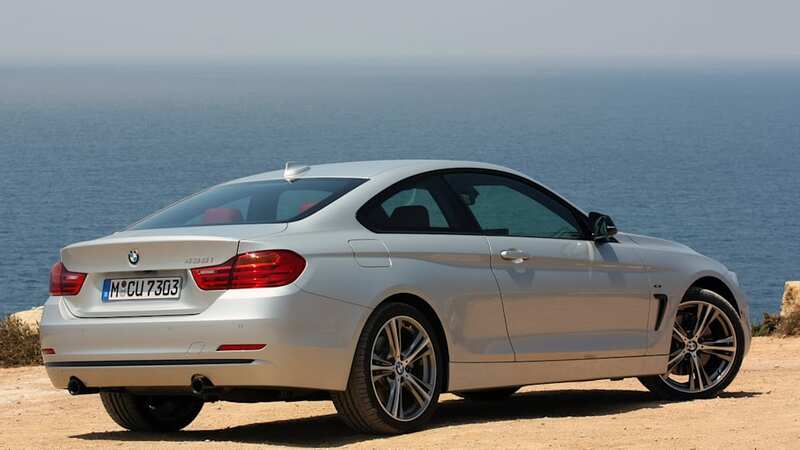 The 2014 4 Series starts at $40,500 for the rear-wheel-drive 428i coupe. 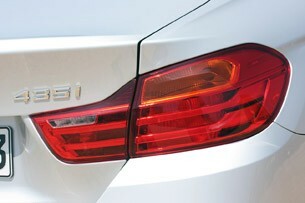 The 435i raises that number to $46,000, and adding all-wheel drive tacks on another $2,000 to the price of either car. 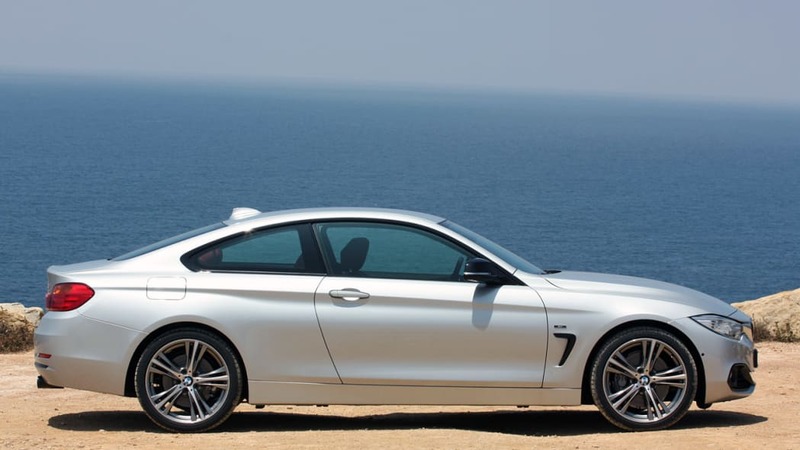 Compared to the 328i, the 428i sets you back an additional $3,650, though that amount drops to $2,850 in the 335i/435i comparison. 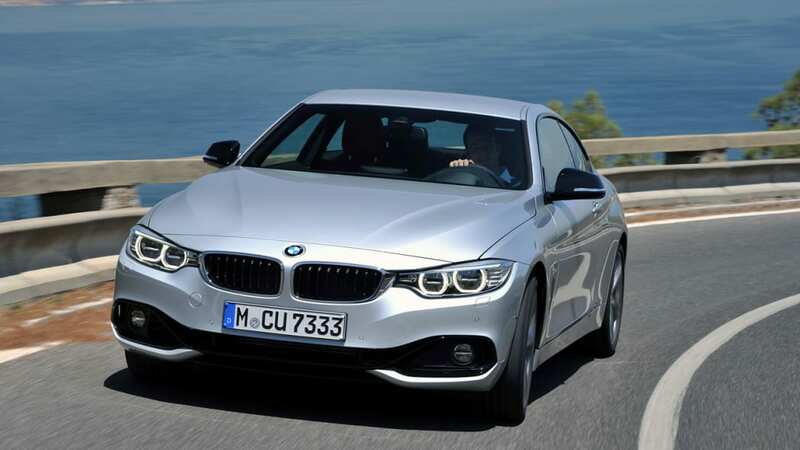 All of these prices are a few thousand bucks more than both the Mercedes-Benz C-Class and Audi A5 range, but the 4 Series is a more modern, better-driving offering than either of those competitors, especially considering that the A5 can only be had with four-cylinder power. 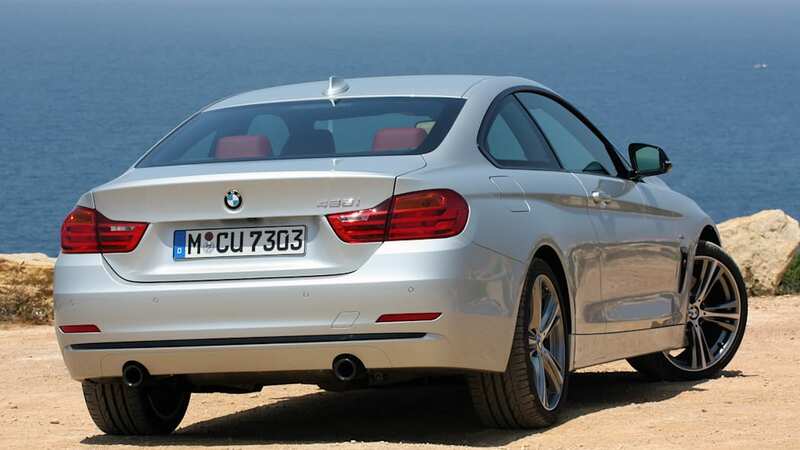 But really, the added cost of the 4 Series is warranted considering that it really is more than simply a two-door version of the 3 Series. 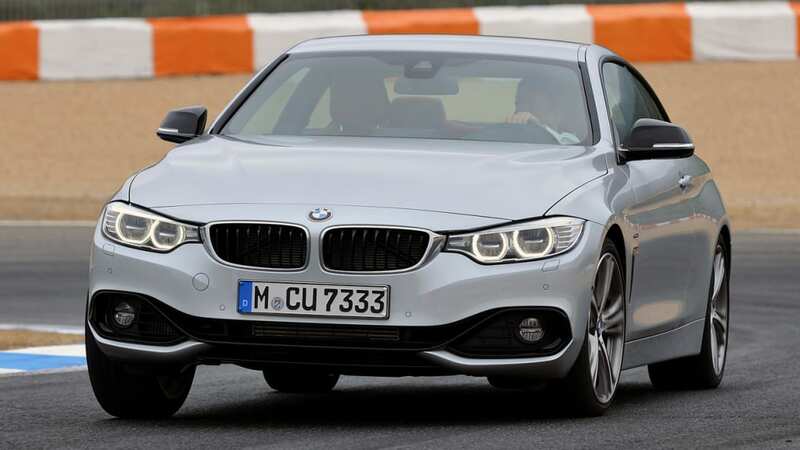 It might seem silly to break out the new coupe into its own numerical designation within the BMW range, but this truly is a case where it's not just about differentiating bodystyles. 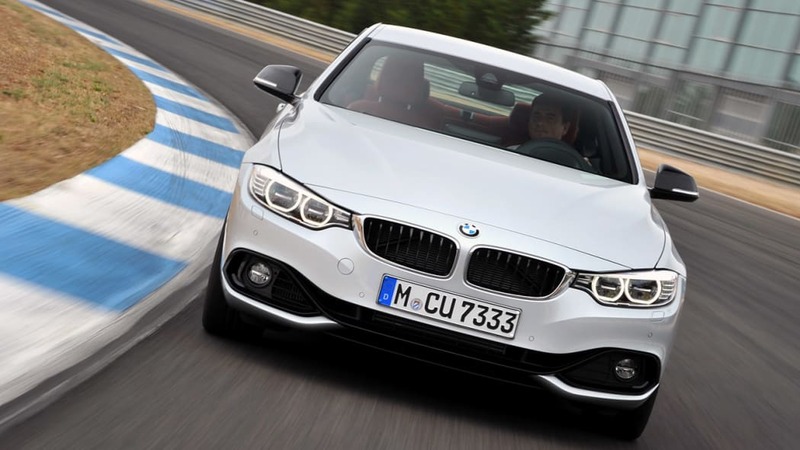 It's about putting the better-driving cars one notch higher on the totem pole.